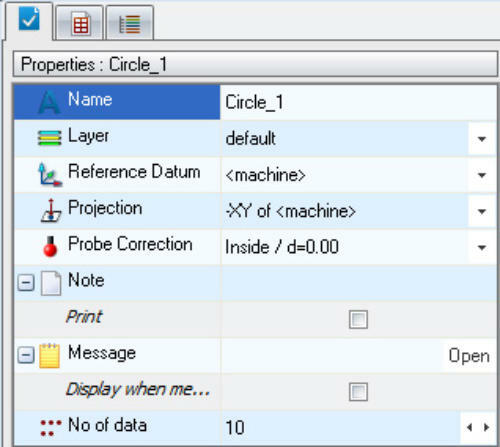 Axel 7 2D windows software distributed by Midland Metrology Ltd works with Optical Profile Projectors (Optical Comparators). It has been designed to compliment and enhance features found on DROs (Digital Readout Units) normally found with optical profile projectors. The software interfaces with the DRO via serial link or USB. The data points are gathered with the foot switch or automatically with Edge Detector if available. The software can be supplied as standard with a new projector or retro-fitted to suitable used machines. 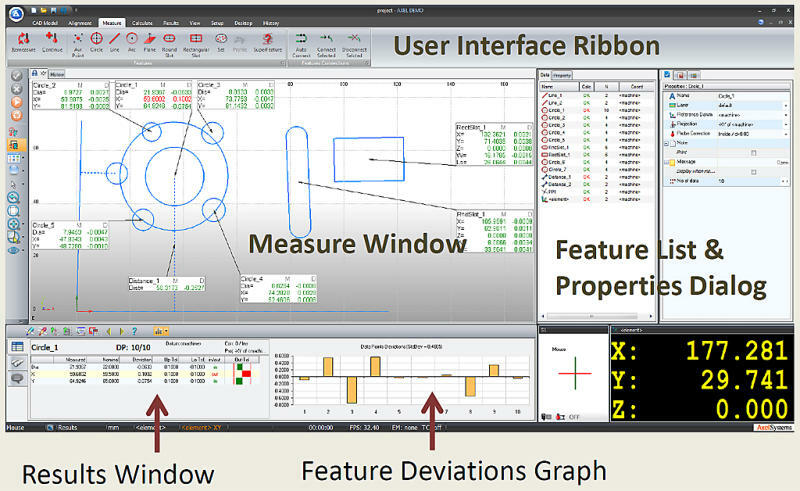 Key Features • Office Ribbon User Interface – Work smarter and faster with intuitive graphics interface • Geometric Features – full range of geometric inspection features • Multiple Datum – multiple datum systems and extensive alignment options with graphical representation in the Measure Window. • Geometric Dimensioning and Tolerancing. • Constructions - Intelligent context-sensitive constructions. • User Results – Calculated results from user defined formulas • Reverse Engineering – features to reverse engineer parts with export to CAD packages. • Go-Mode – Automatic Feature List program creation for repetitive running of inspection routines with user defined messages. 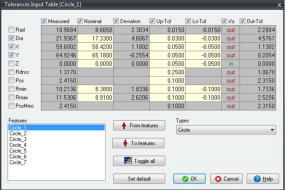 • Feature Guide - Go mode feature to guide to last measured positions in order to increase repeatability of inspection. • CAD Import/Export – Import CAD data to create part programs and extract dimensions and Export in CAD format. • Results Reporting - User configurable, fully featured text and graphical Report Generator. • EXCEL/HTML templates - Export results to MS Excel and HTML • Historical & SPC – Pipe Wizard software allows multiple datums so that extra features can be displayed with respect to other datum on the tube assembly. The software interfaces with the DRO via serial link or USB. The data points are gathered with the foot switch or automatically with Edge Detector if available. The software can be supplied as standard with a new projector or retro- fitted to suitable used machines. Key Features • Office Ribbon User Interface – Work smarter and faster with intuitive graphics interface • Geometric Features – full range of geometric inspection features • Multiple Datum – multiple datum systems and extensive alignment options with graphical representation in the Measure Window. • Geometric Dimensioning and Tolerancing. • Constructions - Intelligent context-sensitive constructions. • User Results – Calculated results from user defined formulas • Reverse Engineering – features to reverse engineer parts with export to CAD packages. • Go-Mode – Automatic Feature List program creation for repetitive running of inspection routines with user defined messages. 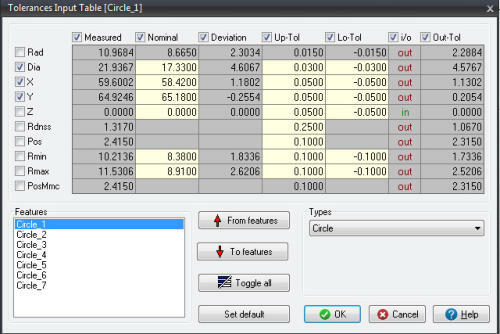 • Feature Guide - Go mode feature to guide to last measured positions in order to increase repeatability of inspection. • CAD Import/Export – Import CAD data to create part programs and extract dimensions and Export in CAD format. • Results Reporting - User configurable, fully featured text and graphical Report Generator. • EXCEL/HTML templates - Export results to MS Excel and HTML • Historical & SPC – Pipe Wizard software allows multiple datums so that extra features can be displayed with respect to other datum on the tube assembly.